Our soap bars are manufactured using only the finest of vegetable oils and quality ingredients. All of our translucent bars are made from blended oils, typically palm and palm kernal. Our vegetable bars are produced from an optimum blend of coconut and palm. We only use food, drug and cosmetic grade colouring. 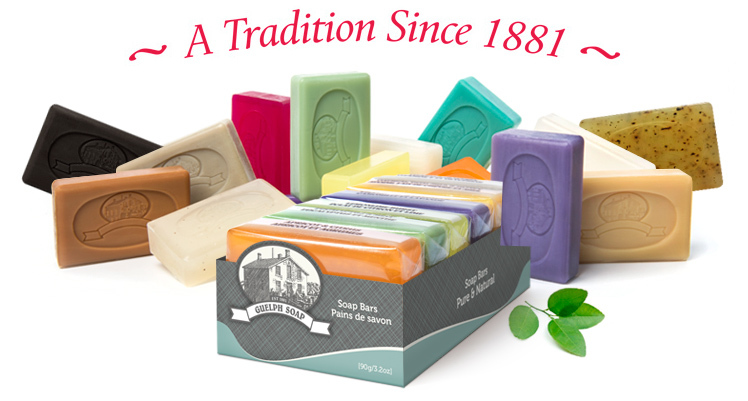 Our aromatic soaps are scented with fragrance or essential oils and will retain their aroma. Additionally , this produces a wonderful bar of soap rich in lather and moisturizing properties. Aloe Vera and Olive Oil are well known to soothe the skin while adding additional moisture. We add Vitamin E to further add antioxidants to help the skin maintain strength. Sodium Palmate, sodium Kernelate, Water, Palm Kernel Acid, Glycerin, Sodium Chloride, Aloe Barbanesis Leaf Juice (Aloe Vera), Olea Eurpoaea (Olive oil), Fruit Oil, Tocopherol (Vitamin E), Tetrasodium Etidronate, Tetrasodium EDTA, Parfum, Chromium Hydroxide Green. A beauty bar with many known therapeutic qualities. Lavender is a common natural remedy for headaches and stress while Chamomile traditionally is calming and soothing. Sodium Palmate, sodium Kernelate, Water, Palm Kernel Acid, Glycerin, Sodium Chloride, Anthemis Nobilis Flower Extract (Chamomile Flower), Lavandula Angustifolia (Lavender) oil, Tetrasodium Etidronate, Tetrasodium EDTA, Parfum, Violet #2. Eucalyptus is a natural antiseptic and mint is a natural combatant against oxidative damage and acne. 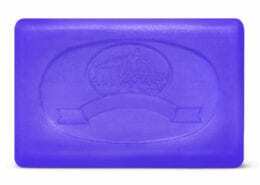 Together you have a refreshing bar which leaves the skin looking radiant and healthy. Sodium Palmate, Sodium Palm Kernelate, Water, Glycerin, Sorbitol, Palm Kernel Acid, Sodium Chloride, Eucalyptus Citriodora (Eucalyptus oil) oil, Mentha Viridis (Spearmint) Leaf oil, Tetrasodium Etidronate, Tetrasodium EDTA, Parfum, Chromium Hydroxide Green. 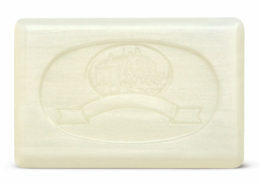 One of our most popular bars, the Au Natural bar is a glycerin based fragrance free, colour free bar with no additives. A simple bar for simple needs. Glycerin is known to be softer on the skin, and being fragrance free makes it safe for most with sensitive skin and allergies to fragrances and oils alike. Green tea and ginseng together have many health benefits. It is said that Green Tea fights damage from UV rays and may help prevent skin cancer. We add fresh green tea leaves right into our soap to help access this benefit and act as a natural exfoliant. Green tea also contains anti-inflammatory properties. It is also said that ginseng has anti-aging properties. Sodium Palmate, Sodium Palm Kernelate, Water, Glycerin, Sorbitol, Palm Kernel Acid, Sodium Chloride, Camellia Sinensis Leaf Powder (Green Tea flakes), Tetrasodium Etidronate, Tetrasodium EDTA, Parfum, Chromium Oxide Green. Hemp oil can help with many different things. What it is most known for however is its anti-inflammatory properties while prompting skin growth and cell generation. With a coconut scent this bar is a must have. Sodium Palmate, Sodium Palm Kernelate, Water, Glycerin, Sorbitol, Palm Kernel Acid, Sodium Chloride, Activated Charcoal, Tetrasodium Etidronate, Tetrasodium EDTA, Parfum, Cannabis Sativa Seed Oil & Kernel, (Hempseed Oil) Hempseed Kernel. Made with natural bentonite clay, this bar is extremely moisturizing. With a mild scent, this bar is great for those with dry skin. Sodium Palmate, sodium Kernelate, Water, Palm Kernel Acid, Glycerin, Sodium Chloride, Tetrasodium Etidronate, Tetrasodium EDTA, Parfum, Bentonite Clay, Macrocytstis Pyifera (Pacific Kelp). A refreshing scent that smells pure and clean. The citrus combination in this bar really creates a nice smelling shower experience. This is one of our more popular bars. Sodium Palmate, Sodium Palm Kernelate, Water, Glycerin, Sorbitol, Palm Kernel Acid, Sodium Chloride, Activated Charcoal, Tetrasodium Etidronate, Tetrasodium EDTA, Parfum, Citrus Medica Limonum (Lemon) Peel oil, Citrus Aurantifolia (Lime Oil), Citrus Aurantium Dulcis (Orange Oil), Eucalyptus Citriodora Oil (Eucalyptus Oil), Yellow #10. 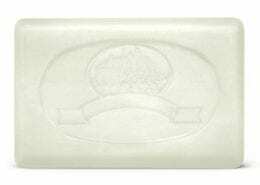 Using fresh Goat Milk, this bar is extremely moisturizing. With a mild scent, this bar is definitely a favourite. Sodium Palmate, sodium Kernelate, Water, Palm Kernel Acid, Glycerin, Sodium Chloride, Avena Sativa (Oat) Kernel Meal (Oatmeal), Goat Milk, Honey, Tetrasodium Etidronate, Tetrasodium EDTA, Parfum, Yellow #10, Iron Oxides (and) Talc. 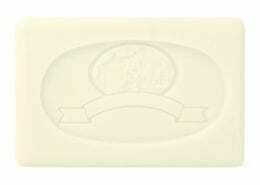 A sharp aroma, this bar can help with things like eczema, acne and general dry skin issues. 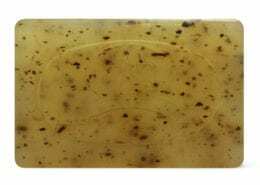 With a hint of citrus oil, this bar has a range of natural benefits. 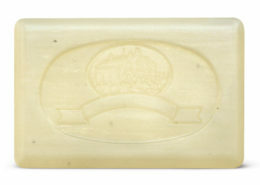 With a sweet scent, this bar has been enriched with Shea Butter to help keep the skin moisturized and smooth. 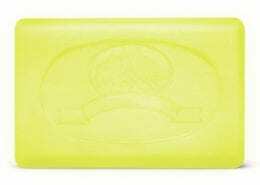 With the added Shea Butter, this soap is a nice shaving bar. Combining these three ingredients, we have created a bar that has many different purposes all put into one. Tea Tree is highly antiseptic, Primrose oil is naturally soothing and Rosemary compliments both ingredients. Sodium Palmate, sodium Kernelate, Water, Palm Kernel Acid, Glycerin, Sodium Chloride, Oenothera Biennis (Evening Primrose) oil, Rosmarinus Officinalis (Rosemary) Leaf Oil, Melaleuca Alternifolia (Tea Tree) Leaf Oil, Tetrasodium Etidronate, Tetrasodium EDTA, Parfum, Yellow #10, Iron Oxides (and) Talc. Sodium Palmate, Sodium Palm Kernelate, Water, Glycerin, Sorbitol, Palm Kernel Acid, Sodium Chloride, Tetrasodium Etidronate, Tetrasodium EDTA, Parfum, Tocopherol (Vitamin E), Mica (and) Titanium Dioxide (and) Iron Oxides. Sodium Palmate, Sodium Palm Kernelate, Water, Glycerin, Sorbitol, Palm Kernel Acid, Sodium Chloride, Tetrasodium Etidronate, Tetrasodium EDTA, Parfum, Lavandula Angustifolia (Lavender) oil, Violet #2.